At WordStream, we've reviewed over 18,000 unique Google AdWords accounts with our free AdWords Performance Grader; discovering a complete lack of regular PPC account activity in the process. Over 50% of AdWords advertisers haven't logged into their account ONCE in the past month. Either because they aren't aware of what changes to make - or if they are - that those changes will take too much time. 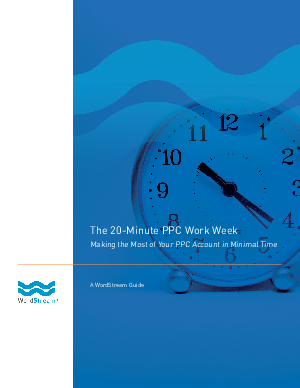 Download this white paper to learn how to optimize your PPC account in minimal time each week.